A new name with a long history behind it. The five managing partners of Ridgeline Pipe have nearly 100 years of experience making and selling PVC pipe and fittings. Our top notch production employees have many years of experience making PVC Pipe. Ridgeline offers quality products and a commitment to providing superior customer service. 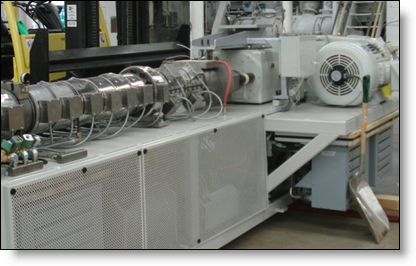 Ridgeline’s manufacturing facility in Eugene, Oregon is a state-of-the-art extrusion facility. Our investment in brand new equipment with highly automated control systems provides efficient pipe and elbow production. Provided Below is the price book. Contact our Sales Desk for availability.